My grandfather died on a December day so many years ago that I hardly remember him. But since then the whole family used to gather together the same day in December at the farm. We call that ‘Cabo de año”. It is a ceremony or religious service performed on the anniversary of a person’s death. Our family had a mass service at night but during the day it looked more like a family celebration. I have memories of those gatherings been like a big party. There were so many relatives to count all of them. There was a prayer time in the evening that will be the culmination of the day of remembrance. But for me, the big attraction will be the cooking going on in the kitchen. The men will arrive very early in the morning to kill the pig. Yes, a large pig that has been fed the whole year for this purpose. Part of the animal will be cooked as Carnitas and Chicharrones and some of the different stew dishes that will be served during lunch. But after that, all the women and some men of the family will get into the main dish for dinner. Making tamales. 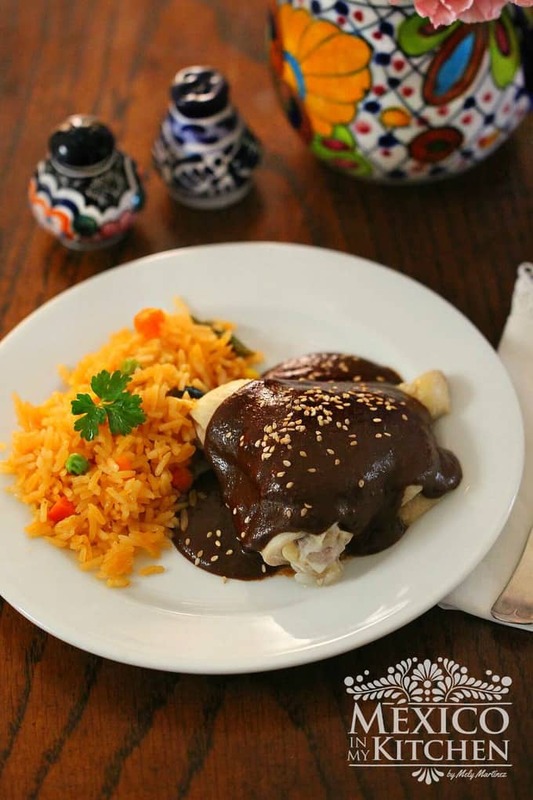 Everyone will be working together for the “Tamalada” ( a tamale making party, well sort of…. )You could hear stories being told from times long gone, funny ones and even scary ones, during those Tamales making time. That is the fun part of making tamales that the family get together to make them as a family affair and you have a nice time not only eating them but making them. But if you want to cook tamales and your relatives are far away, invite your neighbors or your friends. You will have a memorable time cooking together. Nowadays, I usually make them for my family planning a little bit ahead of time. One day cooking the filling and the next day preparing the corn masa dough and the assembling of the tamales. That way it seems easy to make them since I usually make them by myself. 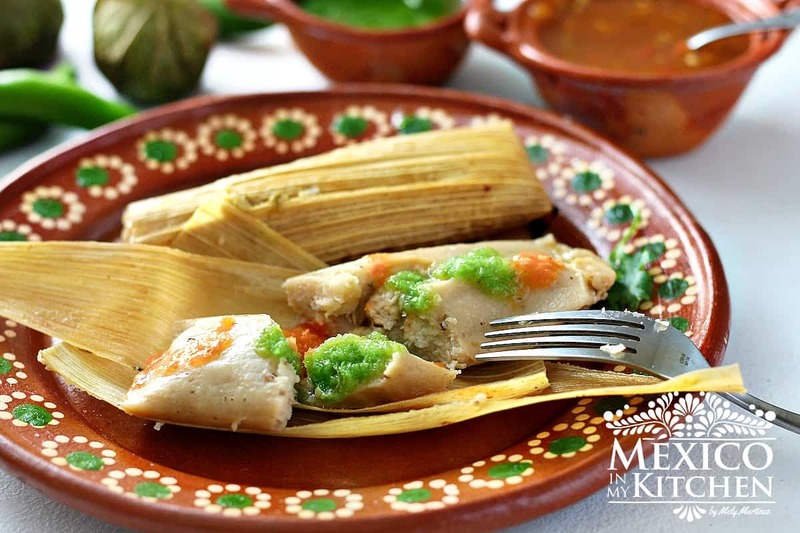 Tamales are traditionally made of a corn-based dough, it’s Nahuatl name is: tamale. Meaning wrapped corn. It is steamed in a leaf wrapper. The most common wrapping is a corn husk, a banana leave, avocado leaves, hoja santa, and other non-toxic leaves used in some regions of Mexico. The wrapping is discarded before eating. There are more than 500 varieties of tamales but like a sandwich, your imagination is the limit. Tamales can be filled with meats, cheese, vegetables, chilies or any preparation according to taste. One time while cooking tamales at my aunt’s house we run of the filling and start looking into the fridge to see what else can we use as a filling. There were some leftover beef tips in a Mexican style sauce and that is what we used to finish it up the rest of the dough. Those tamales were the best of that batch. Mix with the chicken with the sauce in a bowl. Cook the tomatoes, peppers, and garlic in a pot with water. Place the tomatoes, peppers, and garlic in the blender and puree. In a large bowl beat the lard until it changes to lighter color. Add slowly the corn masa harina, baking powder, and chicken broth. Mix well and taste to season with salt. Beat until all ingredients are well combined. Remove the husks from their package and place the husks to soak in a warm bath of water for 40 minutes. Remove the husks from their warm bath, dry with the cloth or paper towels. Place the corn husk on your work surface with the wide end facing towards you. Place about 2-3 tablespoons of dough in the center but closer to the bottom of the corn husk spreading evenly. Top with 2 tablespoons of the chicken-green sauce filling in the center of the husk. Fold one side of the husk to the center and fold the other side to the center, too. Fold the bottom towards the center. Line the tamales on a tray while you are finishing up with the rest of the assembly process. Getting your pot ready for steaming. Add 3 cups of hot water to the pot and place the steamer rack. Place a layer of corn husk on the steamer rack. Place the tamales in a standing position. Cover with a layer of the corn husks and a dish towel and the pot lid. Steam for about 60 minutes in a medium heat or after taking one tamal and checking if the husk easily separates from the dough. Serve while still hot. Tamales are traditionally made of a corn-based dough, it’s Nahuatl name is: tamale. Meaning wrapped corn. It is steamed in a leaf wrapper. The most common wrapping is a corn husk, a banana leave, avocado leaves, hoja santa, and other non-toxic leaves used in some regions of Mexico. Place the chicken onion, and garlic in a pot. Cover with water and over medium heat until meat is tender. Cool and shred the chicken. Mix with the chicken with the sauce in a bowl and set aside. Cook the tomatoes, peppers, and garlic in a pot with water. Until they are cooked and tender. and garlic in the blender and puree until smooth. In a large bowl beat the lard until it changes to lighter color. This can be done with the help of your mixer or by hand. Add slowly the corn masa harina, baking powder, and chicken broth. Mix well and taste to season with salt. Beat until all ingredients are well combined and the dough is light and spongy. Remove the husks from their package and place the husks to soak in a warm bath of water for 40 minutes. This could be done in a large pot or in your kitchen sink. This step will help to soften the husks and easily be pliable while wrapping the corn dough. Place the corn husk on your work surface with the wide end facing towards you. Place about 2-3 tablespoons of dough in the center but closer to the bottom of the corn husk spreading evenly. Top with 2 tablespoons of the chicken-green sauce filling in the center of the husk. Fold one side of the husk to the center and fold the other side to the center, too. Fold the bottom towards the center. Repeat process with remaining husks and filling. Line the tamales on a tray while you are finishing up with the rest of the assembly process. Getting your pot ready for steaming. Add 3 cups of hot water to the pot and place the steamer rack. Place a layer of corn husk on the steamer rack. (Note: you do not need to buy a tamal steamer pot if you don’t have it already. Just improvise with what you already have). Cover with a layer of the corn husks and a dish towel and the pot lid. Steam for about 60 minutes in a medium heat or after taking one tamal and checking if the husk easily separates from the dough. Check during the steaming time in case the steamer need more water. Be careful while removing the lid. Serve while still hot. When done wait for 10 minutes the dough will firm up after that. To reheat a tamal I use the convenience of the microwave. It just needs 1 minute in high per tamal. You can also steam it again to warm it up and the other option is to place it on a hot griddle turning 2 or 3 times until warm. Tamales keep well in your freezer for a couple of months. Mely chula, qué ricura de tamales, como para echarnos una platicada larga y tendida y mientras picar cada uno de estos. Te mando muchos abrazos y bendiciones para este año nuevo. Esos tamales se ven delicious!!! tengo que tratar de hacelos pronto….Feliz Año nuevo! Mely, esta es la receta perfecta para las que vivimos en USA y para principiantes, hice los tamales la semana pasada y quedaron deliciosos, no les sobro ni les falto nada, definitivamente el relleno es al gusto de cada quien! Quede tan feliz con el resultado que quiero hacerlos otra vez con diferentes rellenos!! 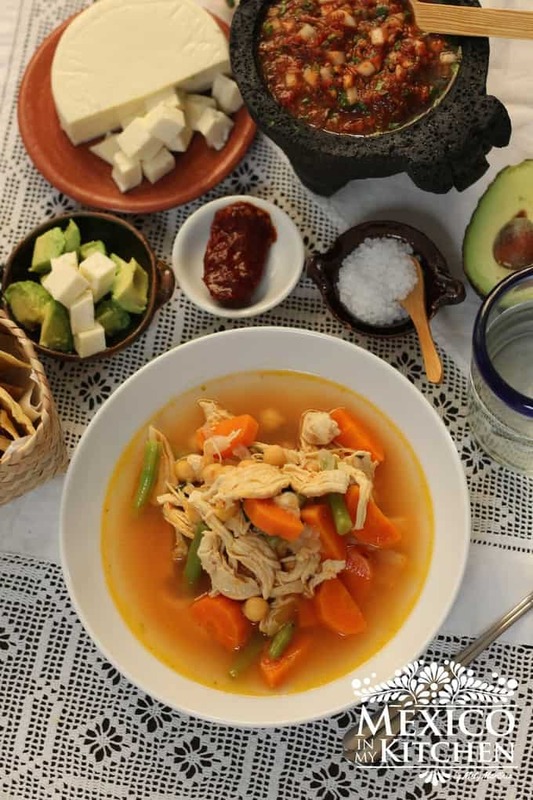 Muchas Gracias por compartir tus recetas !! Oh goodness tomorrow well actualy today bc its already 1:08 am jeje me and my friend Ana will be trying to make our first batch of tamales how nerve wracking! i will be following your recipe but Im sure she will want to tewak a few things since she has her moms recipe lol well wish us luck! we will be feeding lots of people of they better come out right! Tomorrow well actually today its already 1:13 am me and my friend Ana will be making our first batch of tamales lol I will be following your recipe but I'm sure she will want to tweak a few things since she has her moms recipe but reading this will help me a bit. Well hope our tamales come out good we will be feeding lots of people so they better come out awesome! Thanks for the info Merry Christmas! Have a happy cooking an Merry Christmas! Hi, LOOOOOVE your recipes. Made several of them, including this recipe for chicken in green salsa tamales, and they are all DELISH!! Question- would you happen by chance have a good recipe for a sweet tamale?? 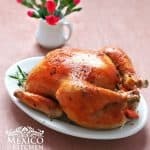 Quisiera saber si ahi una diferencia en la harina de maíz para las tortillas y la harina de maíz para los tamales? Pienso que no…. Voy hacer mi primer intento para hacer tamales esté fin de semana 🙂 aver que tal me va jajaja. Pero si se lo agradecería si me podrías decir si ahi una diferencia. I would like to know if there's a difference between the regular maseca corn flour for corn tortillas and corn flour for tamales? Yes, there is a difference in the dough texture. If you use the flour for tamales, the texture will resemble the tamale dough from those tamales in Central Mexico, the ones made using "Masa quebrada" coarse corn dough. The flour for tortillas gives you a smoother dough, but you need to beat the dough very well. If you do not beat it enough, the dough using tortilla flour could come out a little bit in the hard side. Just make sure the dough is creamy and airy. Please let me know your end results. Well I went on ahead and used the harina for corn tortillas. Thanks for posting this comprehensive recipe! It is hard to find recipes for chicken tamales on the net. And your photos are very helpful as well. Merry Christmas — Feliz Navidad! Nice. I've been looking around to find a simple recipe and this looks right up in my alley! Yay! If you don’t have a Tamal Steamer, you can improvise, by placing large pieces of crinkled aluminum foil at the bottom of the pot, and then adding some of the leftover corn husks, to form a barrier to avoid contact with the bottom of the pot. Mely, thank you for the great instructions, this will be a first time effort for me. I am using my pork meat from yesterday's tacos, fire roasted corn and a little cheese inside. I bought my corn husks yesterday at the local Mexican store. They were impressed I was preparing to make tamales! So we are having these for tonight, along with lime drink, and with Tres Leches for dessert. Which by the way, hubby and I had some last night as soon as I got the whipping cream on. He declared it much better cake than the last recipe I had tried. I told him I got all the latest foods off of your blog and we agreed you must be a wonderful cook! Thank you for sharing. Thank you for trying the recipes. So glad to know you are enjoying them. You must a great cook too!